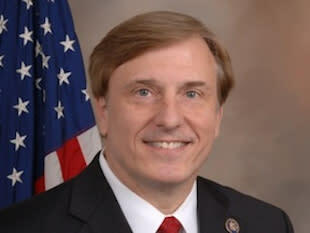 Republican House Rep. John Fleming of Louisiana has made himself the target of online ridicule after confusing a spoof article about Planned Parenthood as a factual news report, according to Politico. An article posted to the Onion's website on May 18, 2011 is headlined, "Planned Parenthood Opens $8 Billion Abortionplex." Of course, as millions of readers already know, the Onion is a satirical news organization, which makes up fake parody stories about real people, places and things. The fictitious article opens with the obviously made-up lead sentence: "Planned Parenthood announced Tuesday the grand opening of its long-planned $8 billion Abortionplex, a sprawling abortion facility that will allow the organization to terminate unborn lives with an efficiency never before thought possible." However, the Onion's mission statement apparently was not explained to Rep. Fleming, who took to his Facebook account, writing: "More on Planned Parenthood. Abortion by the wholesale." The post has since been removed from Fleming's Facebook page, but it can still be seen the website Literally Unbelievable, which captures posts from Facebook users who mistakenly think Onion articles are real. Four Facebook users gave Fleming's post a "like," but eight other users chimed in to correct Fleming before the post was removed. One of the more biting missives came from a user who wrote, "The Onion is satire. How exactly did you get elected?" Fleming, a two-term congressman first elected to national office in 2008, won his first race for by office by just four tenths of one percentage point. However, he won his 2010 re-election effort with 62.3 percent of the vote. Fleming's errant Facebook post came after a week of heated discussion over abortion, with the Susan G. Komen Foundation announcing it was ceasing all donations to Planned Parenthood because of the group's stance on abortion. Komen then reversed its decision, saying it would continue to send a portion of its private donations to Planned Parenthood. On February 3rd, Fleming's congressional office released a statement slamming Planned Parenthood, writing in part, "The pro-abortion intolerance is at times breathtaking and disturbing. By threatening Komen, it became clear that pro-abortion supporters were more than willing to jettison women's health issues in favor of blind support for the nation's largest provider of abortions. Fleming's office confirmed to Politico that the post had been removed but declined to comment further. Wikipedia faithfully chronicles other instances of Onion stories re-reported as a serious news items. The ranks of the bamboozled include MSNBC and the New York Times.